It all starts with seeds that germinate but how does one start a new blog? Who? What? Where? When? The 'when' is easy - now - January 2012 - this is it - never done a blog before! Where? - well at the moment Palm Springs, California, USA but my other home is Nottingham in the Midlands UK - hence the 'pampas2palms' - pampas grass - so unfashionably British but I do rather like them and have used them in my gardens many times - more later. Palms - very much part of the landscape in Palm Springs - not really surprising! Look at the skyline and you see mountains, look lower and the skyline is punctuated with palm trees - fan palms, jelly palms, date palms and queen palms. 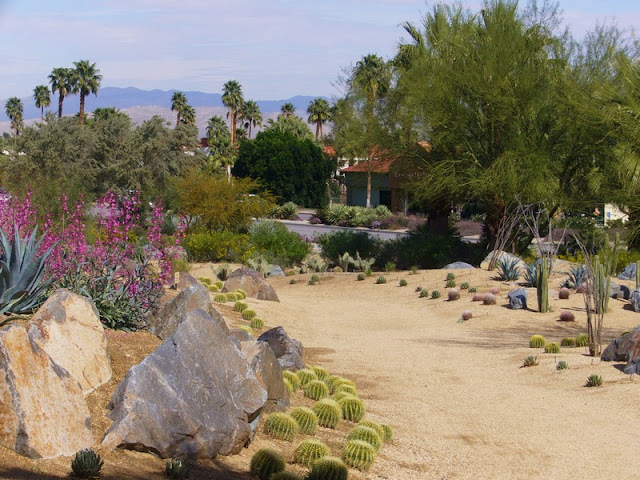 Palm Springs is inland - a desert region in the Coachella Valley with very hot summers and wonderful mild, warm sunny winters. What? - well this will mainly be a gardening blog but split between activities and plants in both the UK and in the USA - two very different climates and ranges of plants. 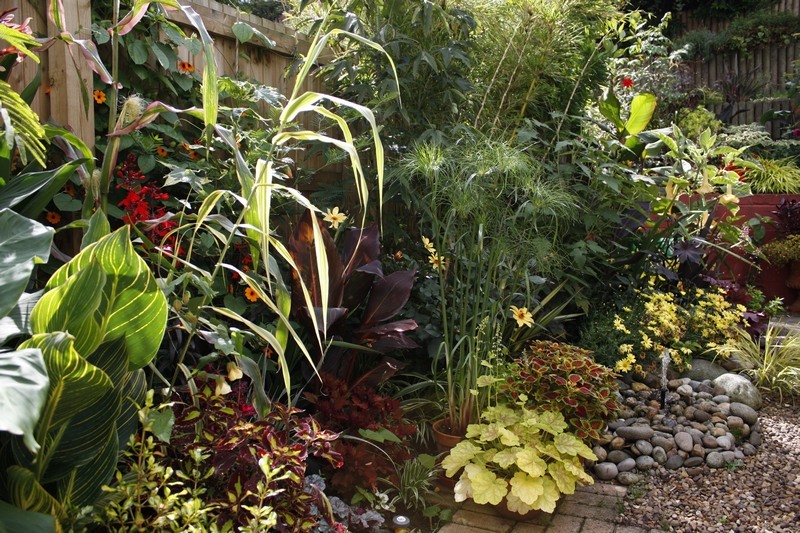 I have a particular interest in exotic plants love bright colours and bold foliage. I guess other things will creep in too, a bit of cooking, my interest in photography and my aging passion for fitness and running. No doubt there will be the odd rant! Who? - well that's me - Ian Cooke, semi-retired horticulturalist and author. Before retiring I used to manage the award winning grounds of the University of Nottingham. 'Gardening on a grand scale at someone else's expense.' I retired in 2008 and spend my time writing - now negotiating my tenth book, giving gardening talks and designing gardens. I also judge at the Chelsea Flower Show and other events for the RHS plus judge East Midlands in Bloom. I'm a lucky guy, partnered for 16 years to Philip who works as a nurse at the local hospital. He lives here 12 months of the year but as I only have a B2 Visa, I have to return to the UK for the summer - hence pampas2palms! Now I understand better, other than my usual assumption that who could resist the great views and sunny weather of the Desert SW! Can't wait to read more on your blog. I've always known we have many experts in the Coachella Valley but for years I've had trouble finding much on the internet. Enjoyed your post hope to see more!